UPDATE: The Student Government Association (SGA) Senate passed a constitutional amendment requiring that students running for graduate senate chairs must have received their bachelor’s degree at its meeting on March 21. The amendment will take effect during the next SGA elections. 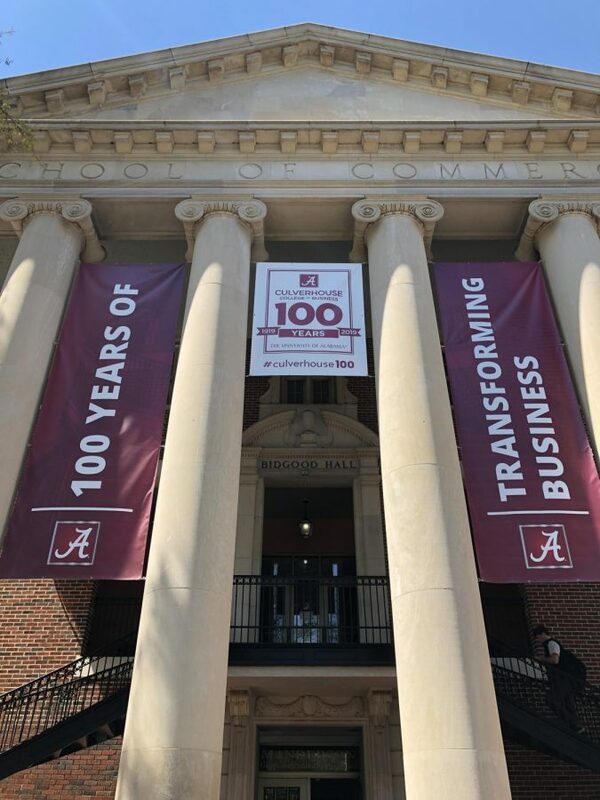 Since he enrolled at the University of Alabama, Joe Ballard, a junior economics and finance major, has wanted to serve students on campus as a member of the Student Government Association (SGA). During the recent SGA elections, Ballard, a first-year Accelerated Master’s Program (AMP) student working toward his Master’s degree in economic policy while simultaneously taking undergraduate courses, was not allowed to run for a graduate student Senate seat. “The SGA [Judicial Board] agreed that AMP students should run, Election Board said ‘no,’” said Hani Razavi, a senior majoring in political science. The SGA Judicial Board revealed its decision to Ballard on Feb. 27. As parliamentarian for SGA Senate, Razavi’s responsibilities include enforcing the rules and Constitution in the Senate. He ensures that parliamentary procedures are followed during Senate meetings. Since his freshman year at the University, Ballard has been involved in SGA. He is currently involved with academic affairs. “I’ve tried as much as I can to be involved on campus,” Ballard said. Ballard said Razavi supported his goal to get a seat on the graduate student Senate. Ballard said he has no idea why he was not allowed to run for a graduate Senate seat. Ballard said he felt he met the requirements. By the end of his fall semester, he finished with the required nine hours of graduate coursework on top of his undergraduate courses. “I had above a 3.00, the nine credit hours,” Ballard said. Another AMP student, who asked not to be identified, said she agrees that AMP students taking undergraduate courses are prevented from holding graduate Senate seats. She said AMP students with a heavy undergraduate course load should not be able to run. She said AMP students’ place in SGA needs to be addressed soon. AMP students are treated differently than graduate students, she said. “In order to best integrate the AMP students with the rest of the graduate program, these kinds of things need to be decided sooner rather than later,” the student said. Razavi said AMP students are able to hold other SGA positions. “Technically, they are able to run for undergrad Senate, a directorship or whatever position they want,” Razavi said. The SGA Constitution, however, does not mention AMP students. Colby Murray, a graduate student in the public administration Master’s program, serves as vice president of fiscal affairs and awards in the Graduate Student Association and a senator in the graduate school Senate. “If there’s an AMP student who hasn’t finished their undergraduate coursework who wants to run for a Senate seat, they can still run for a Senate seat in their undergraduate college,” Murray said. In a section covering the composition and qualifications of SGA elections in the SGA Constitution, only graduate students are mentioned as possible candidates for Graduate Student Association (GSA) offices. “It’s not a school mandate, it’s an organizational mandate, that they’re not allowed,” he said. Murray said he would approve of AMP students in GSA only in certain situations. Murray’s main opposition is that the University does not classify AMP students as graduate students until their Bachelor’s requirements are met. For Murray, graduate students are one of the most underrepresented subgroups on campus. This is one of Murray’s issues with letting AMP students run for graduate senate seats. “We’re already so underrepresented that we should try to preserve what little of a voice that we have left,” Murray said. Razavi said not letting AMP students into the graduate Senate is a form of gatekeeping.